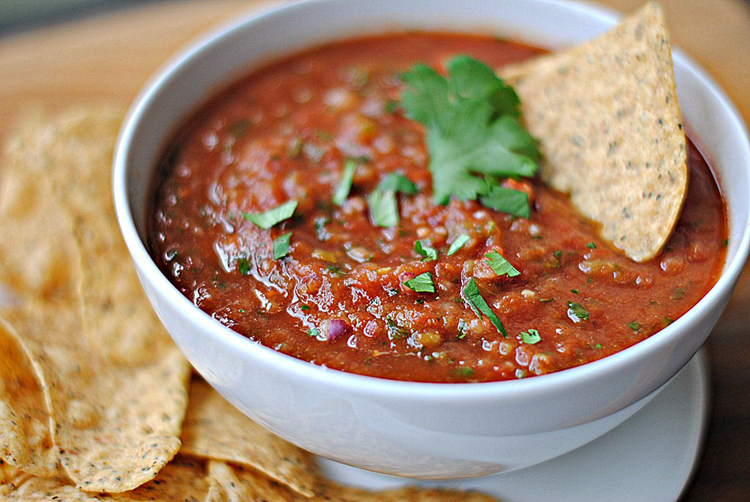 This is the best salsa ever! Pair with baked tortilla chips for a low fat treat. Place all ingredients in the bowl of your food processor. Pulse until just combined for chunky salsa or pulse more for smoother salsa. Store in an airtight container in the fridge until ready to enjoy!